"She gave me her body. In return, I gave her my soul." After reading that well known saga that dealt with vampires, werewolves, and a certain human, I never thought I would be reading another vampire paranormal romance. 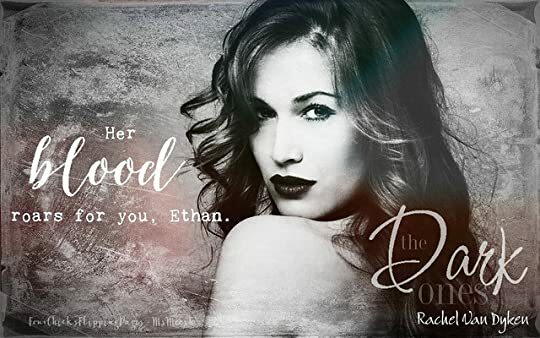 But when I heard that Rachel Van Dyken was going to be writing a paranormal romance, I knew I had to get my hands on this book. And OMG...RVD nailed it!!! Seriously, she didn't just give us just vampires, humans, and werewolves but she added every immortal beings you can think of from sirens, angels, archangels, and the dark ones. 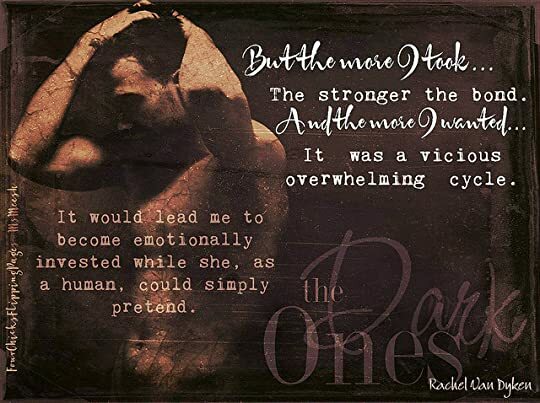 The Dark Ones was more than just a typical paranormal romance. This book captured your attention right off the opening pages when you are introduced to a human named Genesis, whose number was called upon to serve the immortals. Genesis never thought she would be marked by not one just an immortal vampire named Ethan but also by a Dark One, a half human and half angel called Cassius. Now her life will never be the same once she begins her new life with the immortals. When Ethan marked Genesis, his connection to her was so strong and intense. Literally, the bond was so strong as his bloods mixed along with Genesis. In this case, RVD does something differently with this book because she kept Genesis human. The reasoning for Genesis humanity to be kept intact will be further explained in the book when readers learn about the relationships of immortals and humans. The story of Ethan and Genesis is not just a typical romance story but a story built upon layers of the past, the future, and balances. I really don't want to spoil this book because RVD completely surprised me with this book with all the twist and turns. A character that I wanted to dislike stole my heart at the end. And of course, RVD had two amazing secondary characters in Alex and Mason. All I got to say is go read The Dark Ones. This book had everything from romance, heartache, sacrifices, loss, sadness, laughter and banter. So if you are looking for a fresh, rousing, and enchanting paranormal romance that has everything then I highly recommend you to READ this book. Rachel please hurry up with Cassius book. I seriously can't wait for his story.